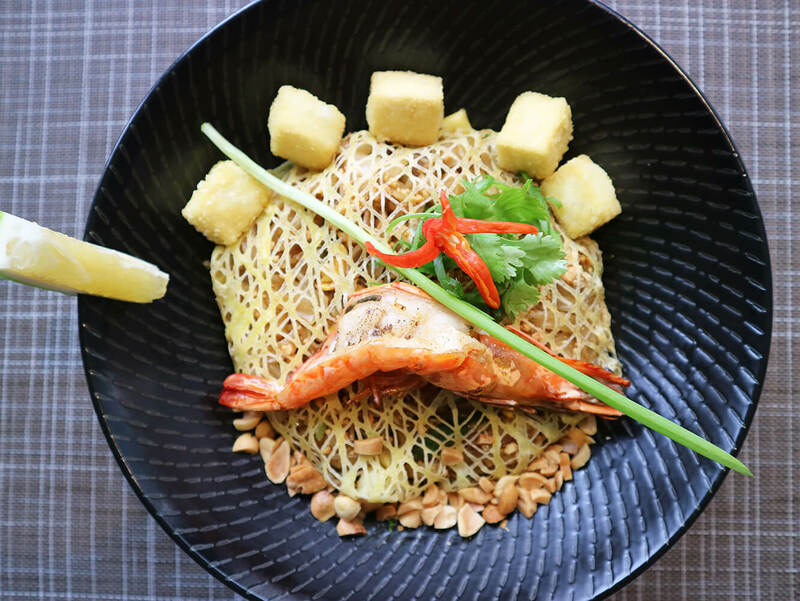 Noodles have always been a staple food in most (if not all) Asian cuisines. From soup-based, sauteed, or even fried, there’s just an endless array of cooking variations of this classic comfort food. Filipinos per se, even have unique versions of noodles (aka pancit) in certain regions of the country. 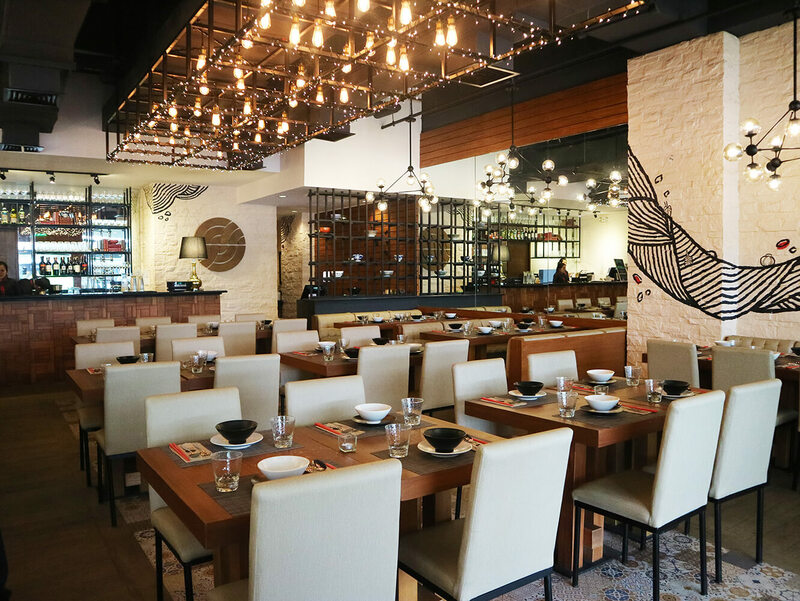 And alas, a restaurant dedicated to celebrate the love for its tasteful glory: The Noodle Studio PH. Why Noodles? Where is this ‘All Noodle’ food joint? Located at the 2nd floor of Ayala Malls the 30th, The Noodle Studio is a one-stop-shop for everything noodles. 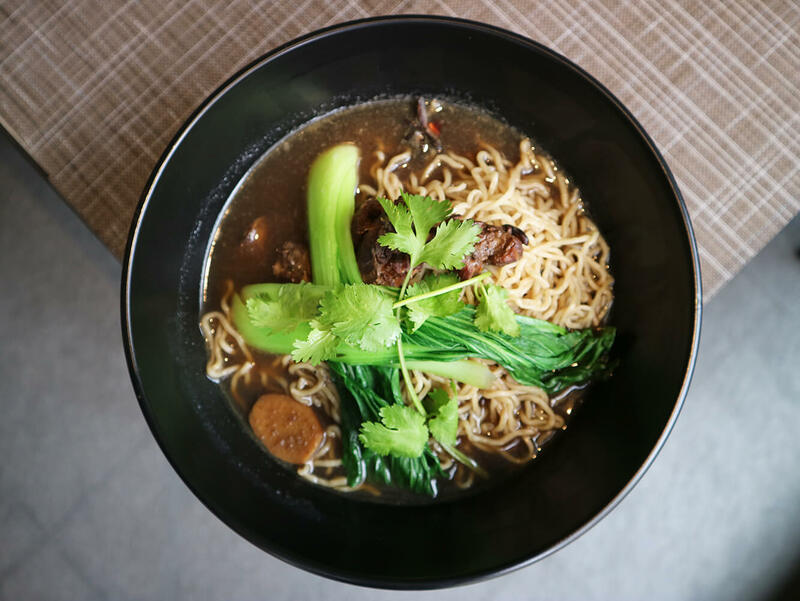 A brainchild of Executive Chef Gigo de Guzman and Chef Alister Sun, this noodle joint is set to serve as a workshop in exploring various Asian palates. 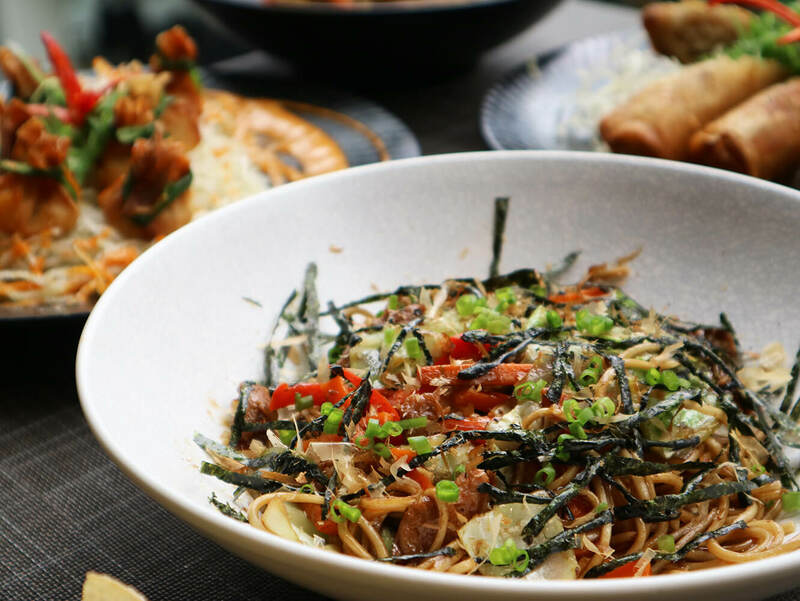 Gathering a selection of well-known noodle dishes as well as creating new Asian dishes in a modern, sophisticated setting. So why noodles? 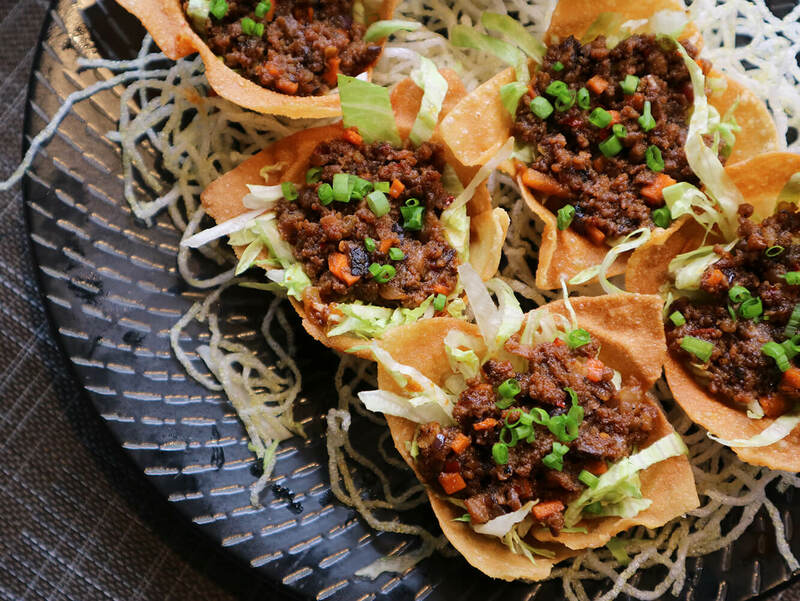 Chef Gigo actually first drew inspiration from his favorite childhood memories with his late father Moises de Guzman during their numerous ‘noodle food trips’. 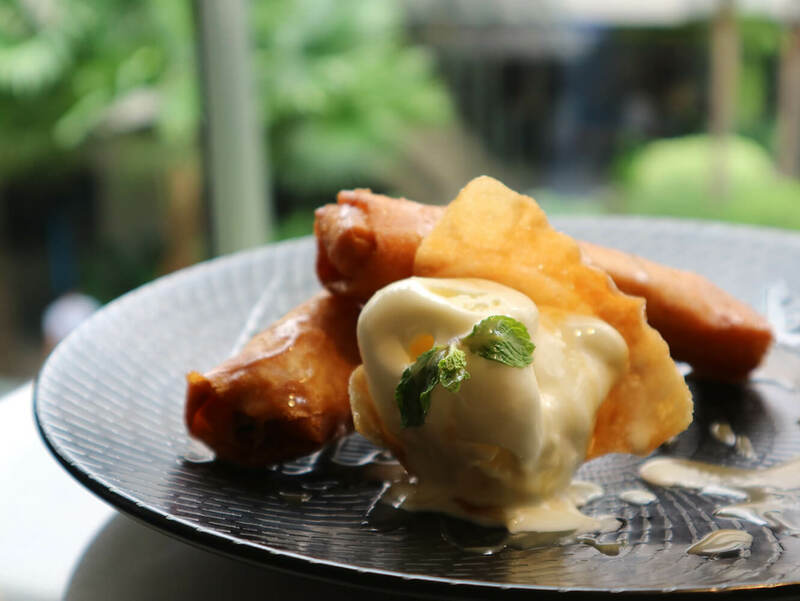 And finally after a two-year process of perfecting every dish in the menu, Chef Gigo and Chef Alister opened their doors by offering modern Asian comfort food for each kind of discerning diner. 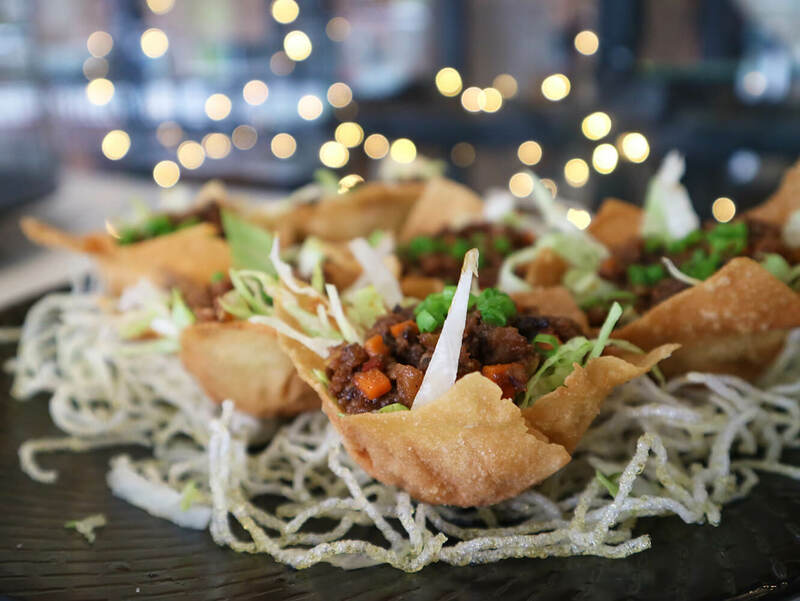 A modern, sophisticated version of the classic siomai, these Fried Salmon Pouches will get you hooked for days! 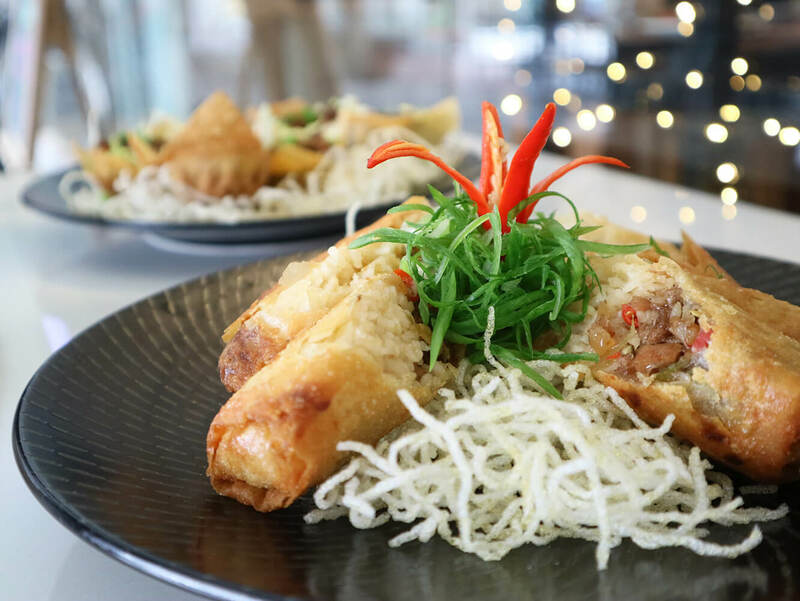 Each pouch is made with fresh salmon meat with Cream Cheese and Spring Onion, wrapped in crispy wonton and complemented with a mildly-spiced Dynamite Sauce. One is not enough, we tell you! Who doesn’t like Sisig? 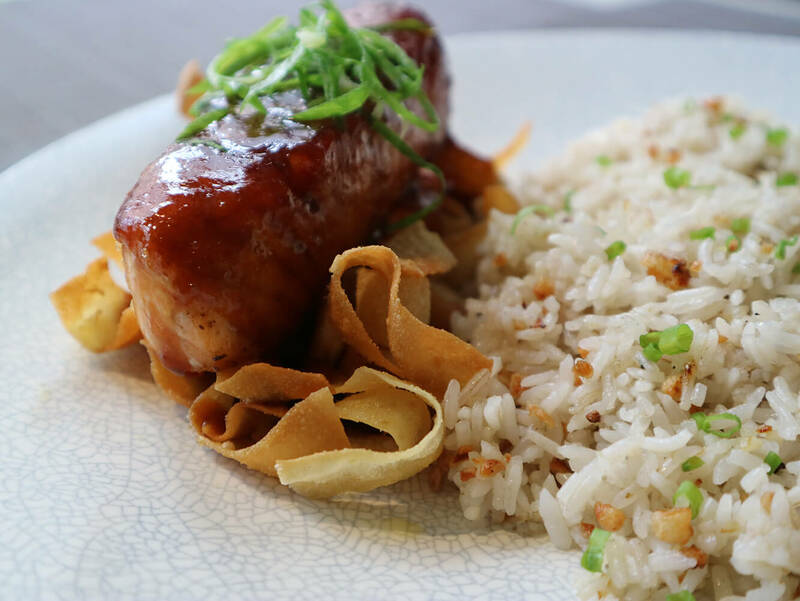 And what more if it’s paired with our favorite kanin before getting fried inside a tasty lumpia wrapper? Super sarap! If you’re looking for something low-key and healthy, this one’s a delightful bet. Fresh, tasty, with an awesome crunchy peanut dip! Ready to devour on the big guns? 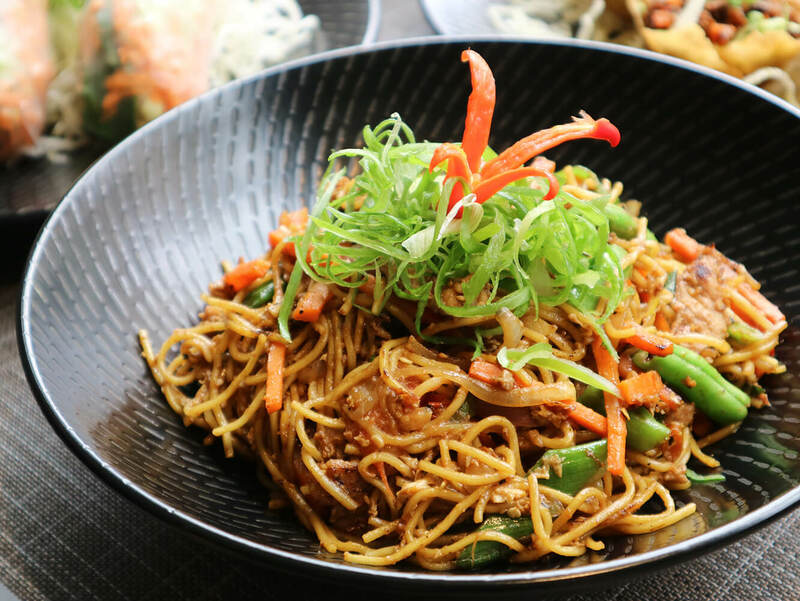 Dive in with their savory Mie Goreng. 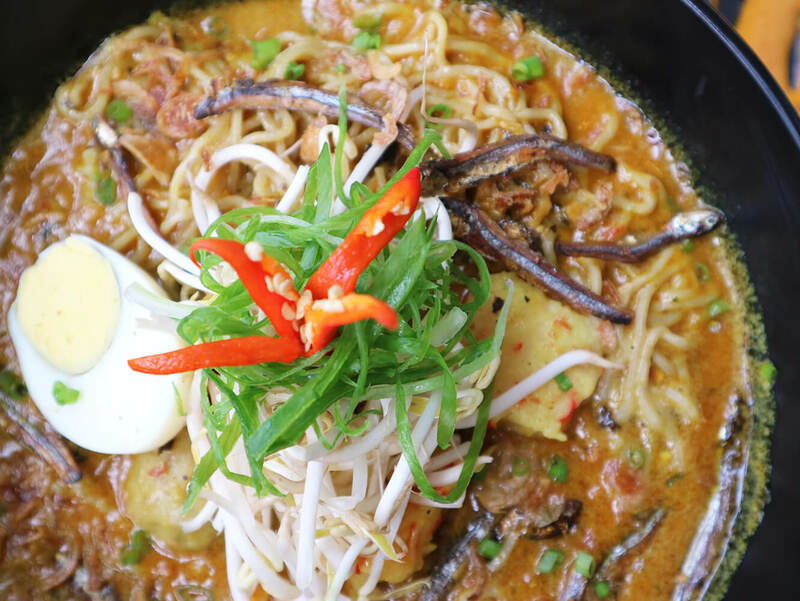 It’s a well-seasoned egg noodle dish with pork, carrots, snake beans, kecap manis, and goreng sauce. Looks, feels, and tastes super authentic! I thought I’ve tasted all the good pancits, but this one just proves me wrong! It’s been a few weeks since my visit and until now I can still remember its sweet-savory-comforting taste. Definitely hits home! One of the things I truly appreciate about The Noodle Studio’s food is it’s real and unpretentious. 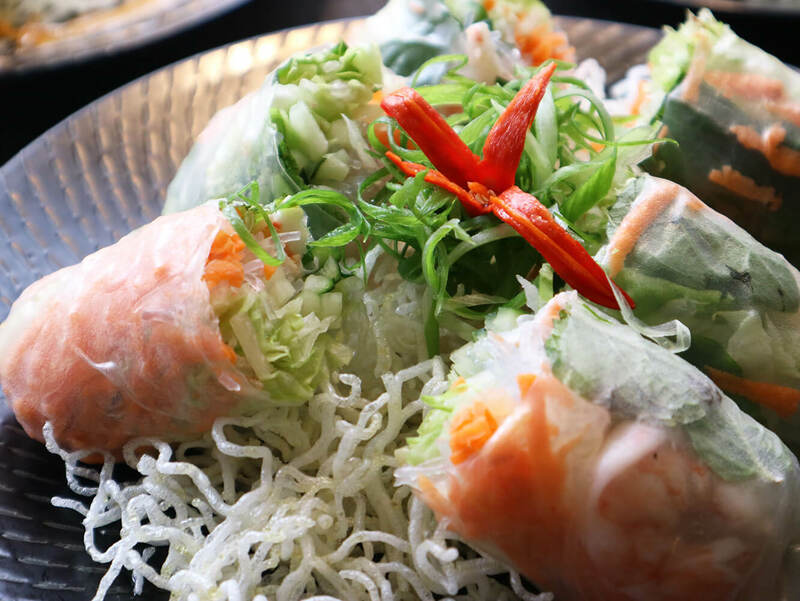 Although seeking to please every discriminating palate, Chef Gigo and Alister does this by sticking with classic regional recipes, only perfected in every way possible. 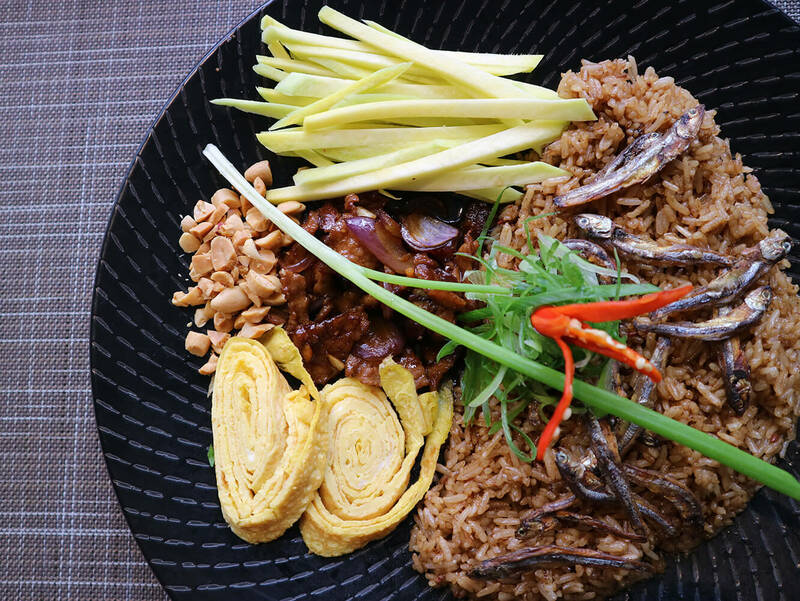 And this is very apparent in their version of the classic Pad Thai – definitely crave-worthy! By this time, I was getting a little full but who am I to say no to a good bowl of Laksa? 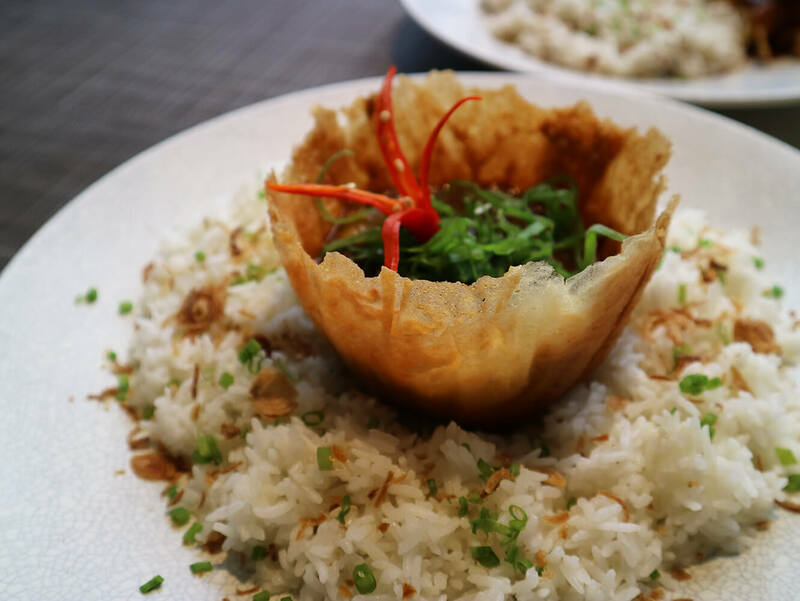 Creamy, well-seasoned, with a perfect dash of crunch with the crispy dilis on top. I love meat and obviously, this is one of my runaway favorites. The soup was thick, almost like a stew, while the meat was tender and melt-in-your-mouth. Reminds me of some of the best bowls I’ve had in Taiwan and Hong Kong. If you love cold noodles or would like to try it, here’s a good starting point. 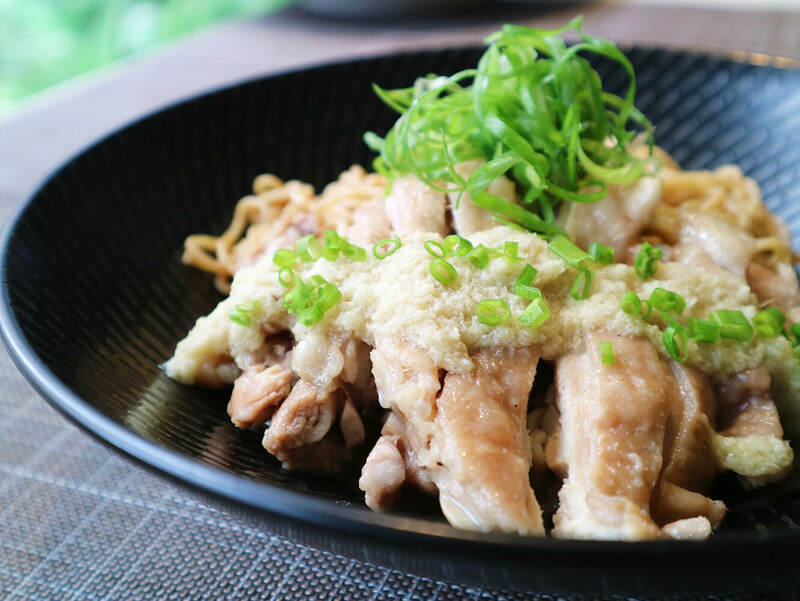 This exclusive dish is made with Fresh Egg Noodles, Peanut Dressing, Chicken Thigh, and Ginger Sauce. A lot of us Filipinos grew up eating this sweet and aromatic snack. 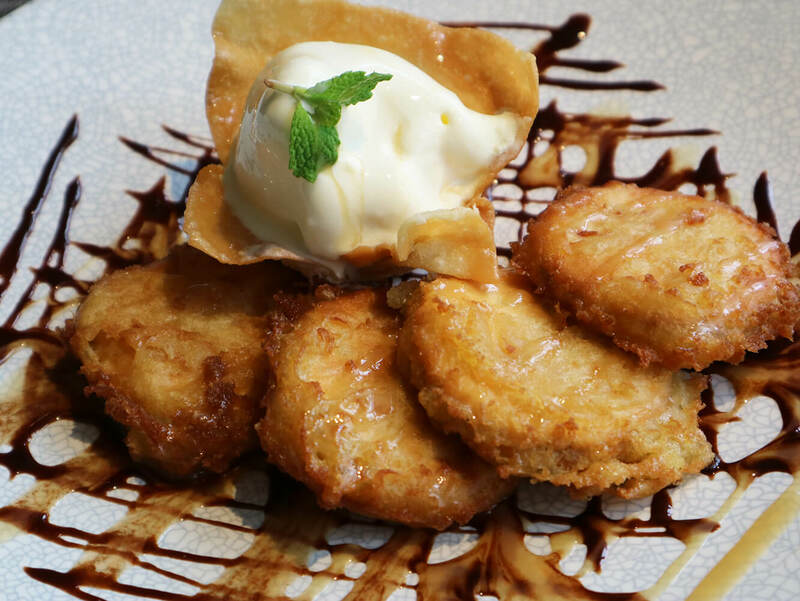 Now imagine that reminiscent goodness as a gourmet dessert, cooked “wicked Oreos” style. TO DIE FOR! NO KIDDING. I will definitely hack this at home soon! 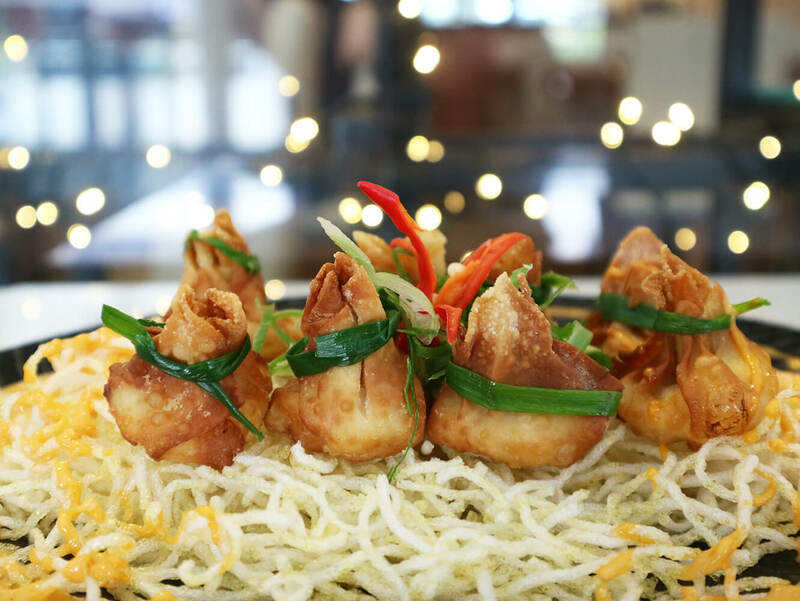 Needless to say, The Noodle Studio is one of our new favorite restaurants. 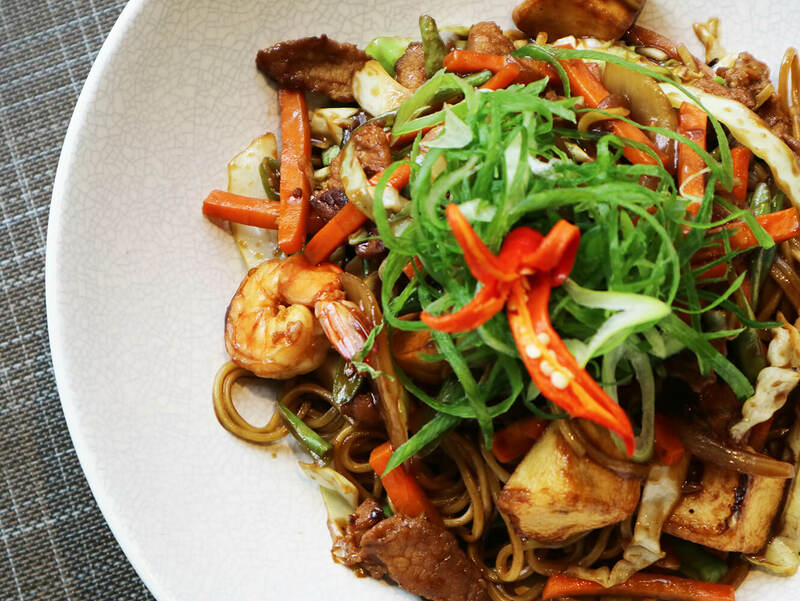 Noodle lover or not, we’re pretty sure you’ll have a delightful meal (or meals) at this Pan-Asian noodle joint. See you there! I don’t like noodles much but all pics are really stunning and make me craving for the noodles. Thank you for sharing the varieties.